Before I really started learning about plants and gardening, I had no idea what an invasive species was. Now that I'm paying attention to what grows in our yard, I know first hand: wisteria, Japanese honeysuckle, privet, and many others. We fight them back as best we can by uprooting, avoiding chemicals, but most of the time it feels like a hopeless battle. Out of his own personal curiosity, Charlie saved a few logs from chopping back the privet, air dried them, and saved them for a time when he could experiment in the wood shop a bit. We were required, as part of the appraisal and loan approval process, to rebuild the porch. During demolition the hollies were leveled to the ground. Without the overbearing prickly shrubs, the area was once again functional. Over my maternity leave I worked on little projects around the house, including painting thresholds and sprucing up around the exterior doors. 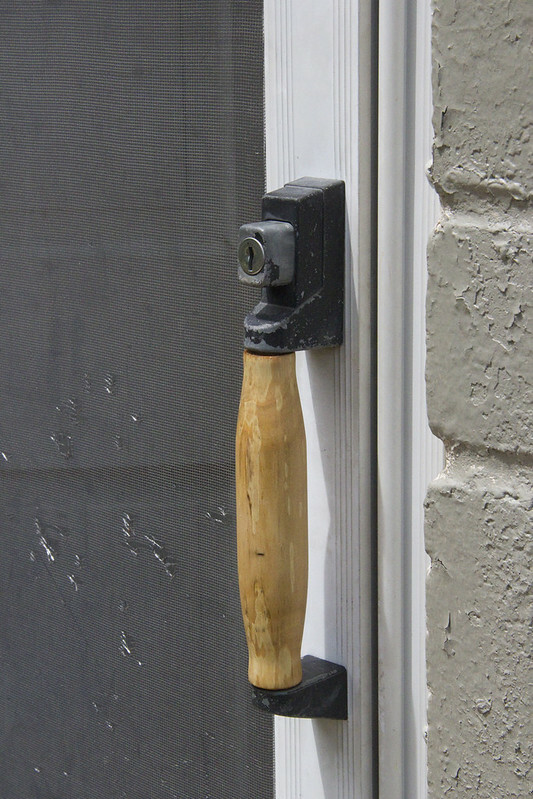 The missing handle could no longer be ignored, so I suggested we turn a handle from some pecan saved from a fallen branch. The pecan wasn't dry enough to turn. 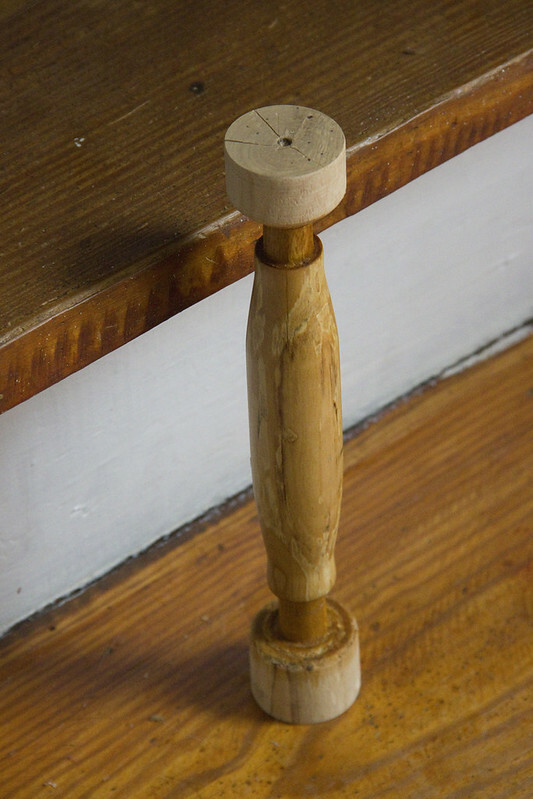 Charlie took the idea and ran with it though, making a lathe-turned handle from one of the pieces of invasive privet! He finished it with shellac (I believe), and the door is as functional as ever; dare I say it handles beautifully?